Camp Bijar is located only some 50 meters from the historic town of Osor on the island of Cres, close to where Cres and Lošinj are connected by a drawbridge. Camp Bijar is situated in a dense, centuries-old pine forest and provides a view of the sea, the nearby historic ruins, and Osor in the background. 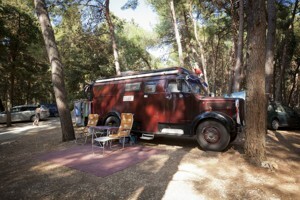 The camp is ideal for smaller campers and tents, on plots facing west and providing a sea view. You will certainly enjoy the view of the sea during the day and the unforgettable sunsets late afternoon. Superior pitches are located next to the sea and are pleasant for stays during the day and at night You can enjoy unforgettable sunsets. Pitches come with access to electricity and water. Premium pitches are arranged in cascades in the shade of thick pine forest. 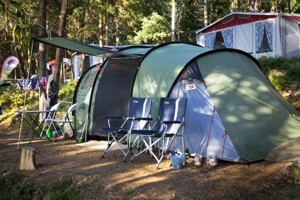 All plots have electricity connections and are suitable for small and medium-sized campers and larger tents. 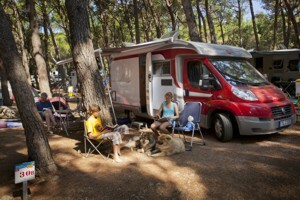 Comfort camping pitches are arranged in cascades and plenty of shade is provided by the dense pine forest making them pleasant to use during the day. The plots have electricity, water and drainage connections. They are large and very accessible for caravans thanks to their position and entrance width. Standard camping pitches are located right next to the Comfort Plots and have electricity connections.